There are a lot of great getaways in New England, but one of my favorites is a weekend at Mohegan Sun. It’s like the sinful stomping ground between New York and Boston where everyone can forget their allegiances and just let loose. I went earlier this year for Sun WineFest and had a blast. 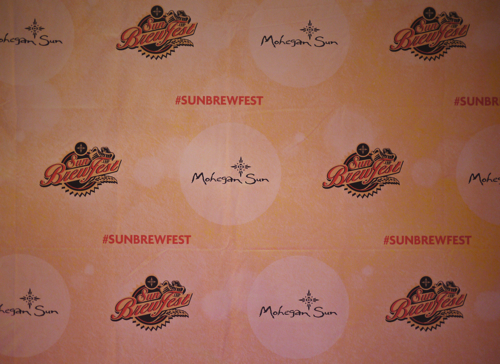 So, I decided to head back down to Connecticut again just a few weeks ago to check out the casino’s other major drink event, Sun BrewFest. Here’s the thing about these drink events at Mohegan, you’ve got to go with one thing in mind: fun. 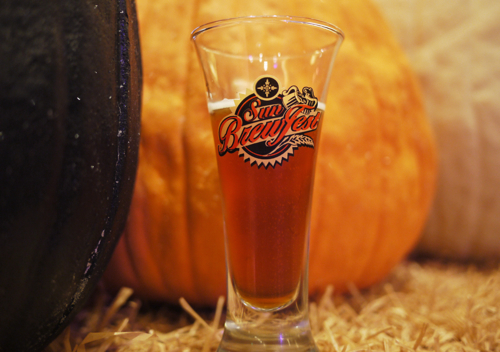 BrewFest is far from your geeked-out craft beer event. It’s a party; and yes, you’ll be able to find a handful of local Connecticut craft breweries, but it’s more about the atmosphere and the fact that for $25 you get over 200 beers to explore along with your craps and blackjack. Which, by the way, is a mighty fine consolation if you happen to lose a few bucks on the tables (which I, gladly, did not). Of course, even when I go to an event like this just to have fun, I’m always on the lookout for the local breweries that I haven’t seen around. I was particularly interested in checking out Connecticut’s small craft breweries because most of them aren’t making their way into Massachusetts yet. 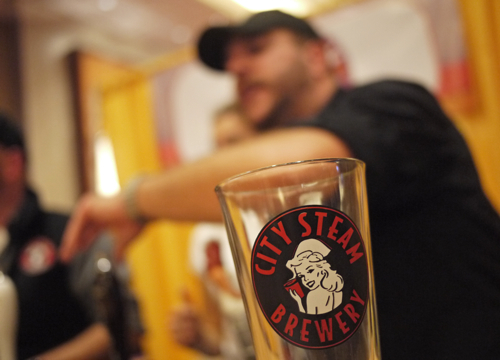 Breweries like Thimble Island, for instance, who was sharing a booth with City Steam. Thimble Island opened in the summer of 2012 and has been getting some great reviews. I got to try their coffee stout and dark pumpkin porter at the fest and thought they were both fantastic (and I don’t even like pumpkin beers). Next time you’re driving between NYC and Boston, consider a stopover. Thimble Island’s brewery is not too far from New Haven, so the perfect halfway point. 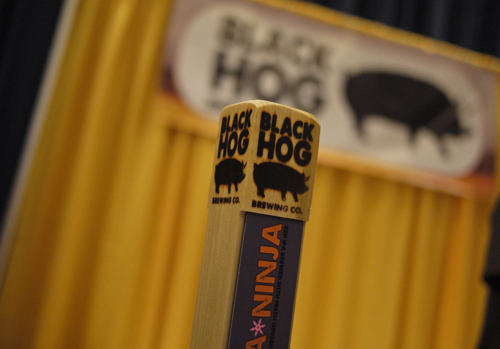 Although there wasn’t a huge presence from Connecticut’s local craft scene at BrewFest, there were a handfull present. City Steam and Black Hog were two others that stood out; City Steam with their double IPA and Black Hog with their brown ale, Granola Brown, that I thought was one of the better brown ales I’ve had recently. As a side note, there are a few craft breweries in easy driving distance to Mohegan that you may want to check out if you’re making a Mohegan weekend. One in particular I’d recommend is Beer’d Brewing who’s just about 25 minutes or so from the casino. Anyway, local craft breweries aside, you really can’t try to geek out too hard at beer events like this. It’s about the experience. And, from what I could tell, people were having a great time. I thought it was cool that the festival brought in a bunch of air hockey and foosball tables to up the fun factor. I also thought this may have been the first beer festival where I saw an almost equal ratio of men and women. There’s no question that the diversity of craft beer’s audience is growing, but you rarely see a split crowd like this. Seriously, craft breweries, if you want to market to the growing female beer audience, this may be your place. The best thing, though, about having a beer fest at Mohegan Sun is that you can wander in and out, and know that after the festival’s last call there’s still a night full of entertainment ahead of you (and a really nice bed in walking distance). I chose to go to the early session for this very reason (and would recommend you do the same). After the fest was over, I cozied up to one of the many casino bars for some whiskey and video poker (and hit a royal flush, btw), followed by a fantastic dinner at Ballo Italian restaurant — my favorite of Mohegan’s many restaurants. And hey, I walked out $100 up. That’s a win/win in my book. 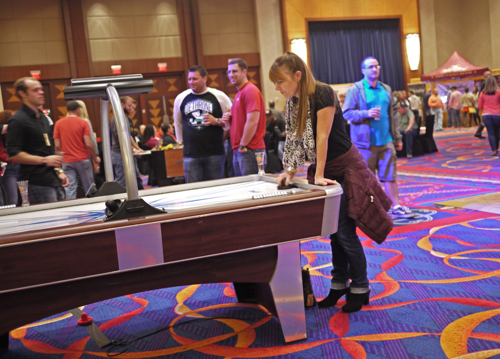 It’s really hard not to have a great time on any trip to Mohegan; but when you combine it with a beer fest, or a wine fest, it’s like the cherry on top. Hope to see you there next year. Thanks to Mohegan Sun and Regan Communications for their invitation and hospitality.